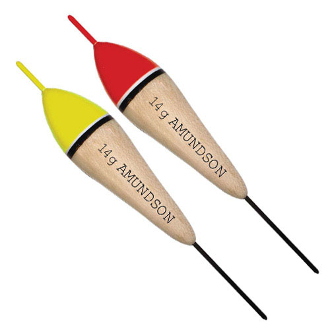 AMUNDSON LONG TROTTER FLOAT Balanced balsa wood float. Available in 2 colors and 6 sizes. THIS ITEM IS DISCONTINUED, BUT WE HAVE STOCK. 7g size not available in red; chartreuse available in 7g and 16g only.